We can use the preterite and imperfect together to talk about the past. Use the imperfect to say what was going on or what was happening in the background. Use the preterite when what was happening in the background was interrupted by another action. In the following example, imperfect tense verbs are in ( ). Mientras (hablaba) sono' la alarma contra incendios. While I was talking the fire alarm went off. Baje' las escaleras y, al llegar a la calle, me di cuenta de que (hacía) mucho calor. I rushed down the stairs and, when I got to the street, I realized that it was very hot. 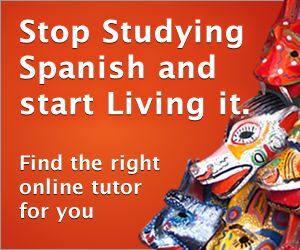 Please tell your friends that 123TeachMe.com is a great way to learn Spanish online for free.